A couple of years ago, I visited Ciudad del Carmen in Mexico. It’s a charming, small town that has managed to avoid the touristy excesses of its sister cities on the Yucatan peninsula. Lucky, I retained some of my high school Spanish and was able to let him know that I was hungry. “Good,” he said. “I’ll take you to one of my favorite places.” Carlos likes to switch between English and Spanish to either help me improve my language skills or to confuse me. I think it’s a little of both. We drove a few miles through streets dotted with local shops and brightly colored houses until we reached an alley way. Carlos parked the Jeep and motioned for me to follow him. As we walked through the alley, the scent of grilled meats and chiles filled the air. I was drawn to it like weary sailor being seduced by a sirens’ song. Carlos broke the trance by diverting my attention to a short, stout man with a mop of gray hair flipping chickens on a grille. I extended my hand to shake, but he dodged it and went in for the hug. He told me his name (Alberto) and started saying a string of Spanish words that my high school teacher failed to teach me. Carlos realized I was in over my head and served as our translator. Over the next two hours, Carlos, Tio Alberto, and I dined on fluffy tortillas, frijoles, chiles, shark tacos, and the best grilled chicken I had ever tasted. It was smoky, juicy, and delicious. The crunchy skin gave it an element of texture that only enhanced the flavor of the succulent meat. I thought I’d never get to enjoy those flavors again. And I didn’t until I attended a tasting for El Pollo Loco in Houston, TX. After the first bite, I was transported back to that Mexican alley on the Yucatan peninsula. The first El Pollo Loco opened in Los Angeles in 1980, and the restaurant chain now operates more than 400 restaurants in Arizona, California, Texas and Utah. El Pollo Loco is opening several stores in Houston and invited several journalists, bloggers, and Yelpers to try their menu items. 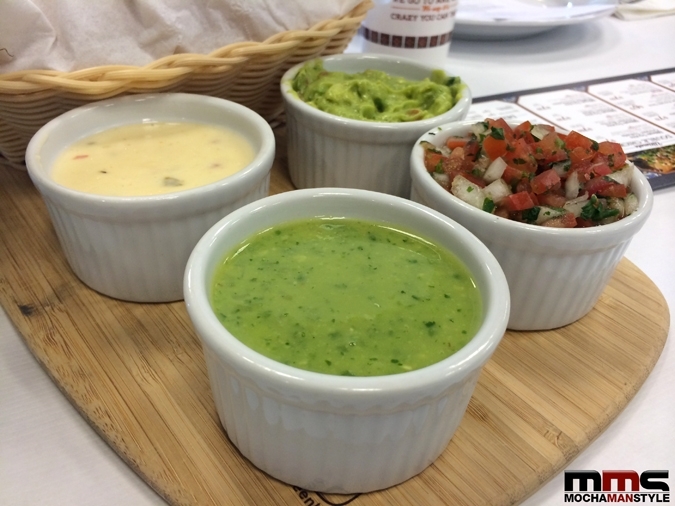 The tasting began with chips and an assortment of salsa, pico de gallo, queso, and guacamole. The white corn tortilla chips were thick and crunchy and served as the perfect delivery vehicle for the salsas. Of the four selections, I liked the guacamole the most. I can be a bit finicky when it comes to guacamole because I’ve had some of the best. The El Pollo Loco guacamole, made with fresh avocados, was creamy, savory and passed the mouth-feel test. I would have liked the other salsas to be a bit spicier. Apparently, El Pollo Loco makes a spicier salsa, but it wasn’t available for the tasting. Next up was the star of the show – the citrus-marinated, fire-grilled chicken. I watched a chef prepare the chicken on the patio in the sweltering Texas heat. I admired his commitment to his craft. He reminded me of the local grille masters who make their living grilling chickens in parking lots throughout Houston. 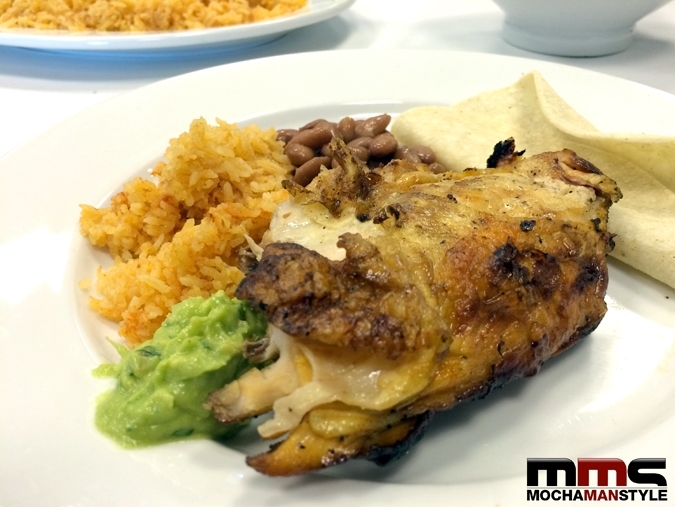 The chicken was served family-style with rice, beans, and tortillas. I loaded my plate with a little of each and dug in. As I mentioned earlier, the chicken was divine. It is flavorful without being spicy. I purposefully chose a piece of breast meat because I wanted to see if it would be dry. I was delighted as I bit into a piece of moist, tender meat. I was disappointed by the side items, though. They were a bit bland and the tortillas were flimsy compared to the ones I’m accustomed to in Texas. With that said, I was pleasantly surprised by the Chicken Burrito. 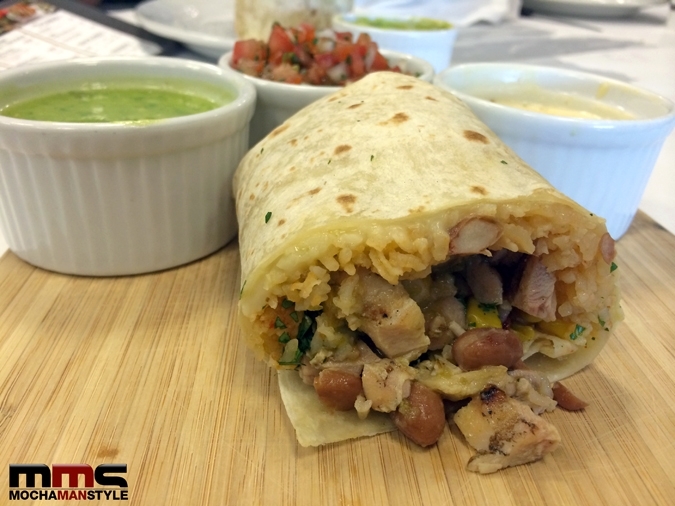 Although the rice, beans, and tortillas failed to impress on their own, they managed to gel together with the chicken, avocado, pico de gallo, cilantro, cheese, and cilantro dressing to form a superior taste sensation. What makes the burrito really stand out is the grilled tortilla. After eating the burrito, I was stuffed. But more food, including Chicken Tostado Salad, Grande Taco Plate, and Pollo Bowl, kept coming. 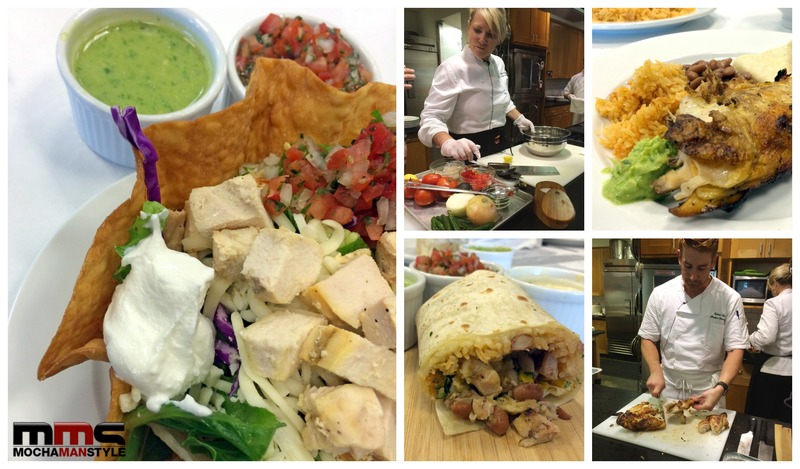 These items, while satisfying, seemed more like Cali-Mex food than authentic Mexican fare. However, I could see myself ordering any of these dishes because they are hearty and filling. I had to leave before dessert was served, but a few of the other journalists told me that they enjoyed the churros and cheesecake chimichangas. Overall, I was pleased by the taste and quality of the menu items. 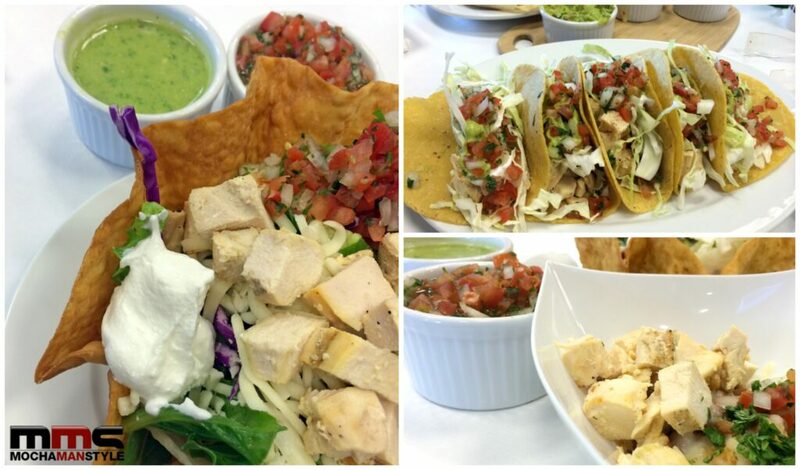 The food is fresh, flavorful, and healthy. Houston is a competitive city for restaurants and El Pollo Loco will have to continue to innovate to stand out in this crowded market. But I think they’re crazy enough to do it.